Bromley Civic Society will be organising another heritage walk on Saturday 14th May led by Peter Martin, the BCS Vice-Chair and Jane Secker, BCS Secretary. 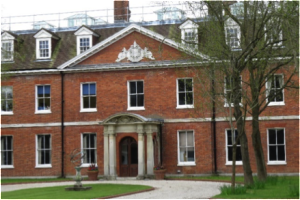 It will be an opportunity to visit Bromley Palace and see inside the building, which was the former residence of the Bishops of Rochester and dates from the late 18th Century. We will also tour some of the south of the town centre admiring some of the Georgian and Victorian architecture. The walk will start at 10.30am promptly on Saturday 14th May, so please meet from 10.15 outside Bromley North railway station. Places are limited and booking is essential, so if you wish to attend then please use the booking form. This is an opportunity to take a close look at the 18th century Bromley Palace and its transformation from the Georgian home of the Bishops of Rochester to the home of Victorian entrepreneur Coles-Child in 1845. Inside we will see the magnificent grand staircase, carved oak panels, Robert Adams fireplaces and more. The Palace will be part of a 2hr walk looking at changes in architectural styles at several other buildings and features important to Bromley’s heritage. The walk is free, but donations towards Bromley Civic Society are very welcome. Please note that the walk will include some uneven ground and crossing busy roads, so care should be taken. 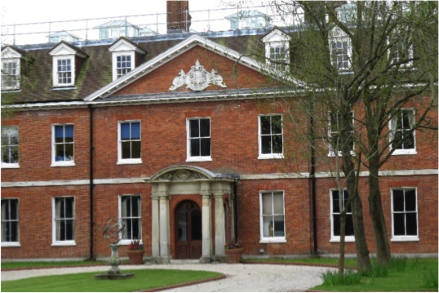 This entry was posted in BCS news and tagged Bromley Palace, guided-walk, heritage. Bookmark the permalink.